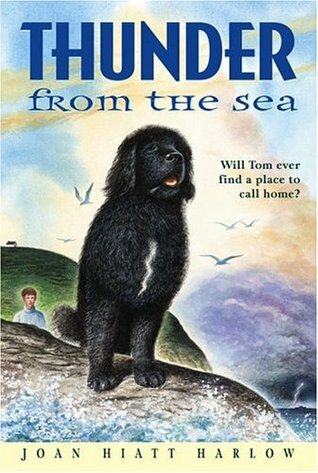 Of the three of these, I would choose Thunder From the Sea as a read-aloud first. 4 stars: What is the Smith Family treasure, anyway? Ellsworth has always lived with his Dad, with no contact from extended family at all, until one summer he gets a letter. He is invited to come to the Square in Smith Mills, New York, to visit his relatives. The thing is, he's been having these dreams about the Square. How can that be? He's never been there before, that he knows of. His Dad certainly doesn't want him going back. Grandpa lives there, and it would be a severe understatement to say that the two of them have never gotten along. But Ellsworth feels compelled to go. Once he gets there, he finds a friend--a girl named Jess his own age, who is also visiting for the summer. The 10 houses around the Square were built way back in the day by a great-Grandpa, who built one for each of his kids. Three of the houses are treasure houses. At least that's the story. In fact, real actual treasure was found in 2 of the houses already, each one just in time to save the family from financial ruin. All of which means there is probably some in that 3rd house as well. The thing is, lots of relatives have already searched for the treasure and haven't found it. The house itself is practically falling down, too, so it's really not safe for anyone to poke around in. Not that that's going to stop Ellsworth and Jess. A unique premise. You don't find many middle grade novels with a focus on family history like this one. A bit of a supernatural element woven in as well, with the spirit of great-grandfather John wafting around here and there, trying to make some (good) things happen. Kids will probably keep reading to find out about the treasure. There's enough focus on that to carry through the family relationship stuff, I think. Well-written. I enjoyed it, but none of my kids have picked it up yet. Maybe if I read it out loud to them...? 3 stars: A troubled boy finds redemption spreading holiday cheer. Sam is Trouble. It seems his decisions are primarily based on what will most bother his dad, without his getting caught by the cops (again). He hasn't been sent to juvie yet, but then again, he's only 11. There's still time. This Christmas is already shaping up to be the worst ever. He won't even get to see his mom--she's spending Christmas with her new family. His dad is worried about money, since business has been very slow at his bakery. 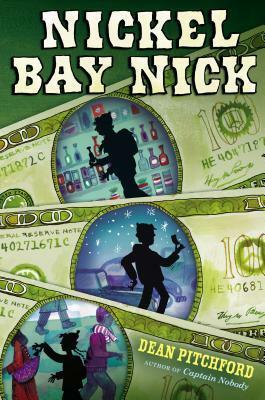 Not to mention practically the whole town is just grumpy, because the mysterious Nickel Bay Nick, an anonymous person who has made a tradition of leaving $100 bill for people to find around town, has not shown up this year. Nick the No-Show has not made anyone happier. Then on Christmas Day itself, Sam has an unfortunate incident with Old Mr. Wells' Christmas lights...and gutter...and other stuff. Mr. Wells makes Sam a deal--if Sam will show up to help with some "filing" for the next 12 days, Mr. Wells will not press charges or make him pay for the damage. Filing is not really on the agenda. What Sam does is train to become the next Nickel Bay Nick. As it turns out, Mr. Wells was Nickel Bay Nick, but he broke his leg this year, so he needs a replacement. Someone with some ability to sneak around wouldn't be a bad thing. Sam agrees to do it, not realizing how much his life will change in the process. I have to admit this book stressed me out a little bit, because Sam reminded me a whole lot of a foster son I had. Not a bad kid, just someone who made a lot of dumb decisions based on not-so-great reasoning skills. Anyway, all that aside, I think this book would probably appeal to 8-12 year old boys. In fact, my 9 year old read it before I did, so we got to talk about it some. Some of the stuff Sam does needs talking over--for instance, breaking windows at an abandoned building, just for kicks. I really liked the idea that was brought out, that focusing on the happiness of others makes your own life happier and fulfilling. Also, the spy stuff was fun. Sam grew up and matured in satisfying and believable ways. My son liked it more than I did, but then--he was the target audience for it, after all. 3 stars: Historical fiction that will draw kids in. It's 1929, and Tom Campbell is 13 years old. He has always wanted a family of his own, so when he is sent to live with Enoch and his wife Fiona on Back O' The Moon Island (off the Canadian coast), he is determined to make it work. He does everything he can to help Enoch with his fishing and holds his own with local bullies. If only he could have a dog, life would be perfect. Enoch and Fiona seem to like him well enough, but he just can't let himself come to rely on them. It has been too long since he's had anyone but himself to rely on. Then a couple of things happen: Fiona gets pregnant, and Tom rescues a dog from the ocean in the middle of a storm. He names the dog Thunder. His two biggest fears are that once the baby comes, Enoch and Fiona will not want him anymore, and that Thunder's real owner will be found and take away his best friend. Well-written, with strong characters. If I was still in the library, this would be a book to hand-sell to young patrons. It's not as flashy as some, so I don't know how many kids would pick it up on their own, but there's a lot to like about it: the hero dog, the orphan boy who makes good, dealing with bullies, and so on. Have you read any good middle grade fiction lately? What are you reading out loud to your kids this summer?